Flying in a small plane can be terrifying for the uninitiated. You know what's even more terrifying? When the pilot of such a plane becomes sick and you have to land it yourself, even though you don't know how. In fact, I can think of few things that are scarier than that. But it's exactly what one man did in England earlier this week. 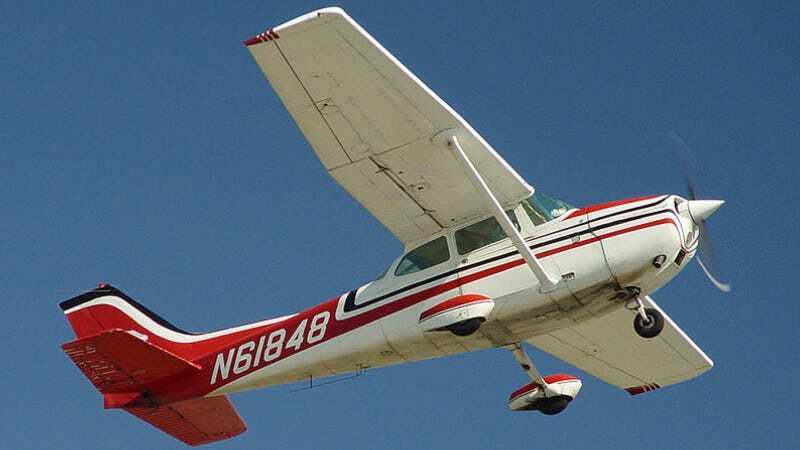 The BBC reports that a Cessna 172 passenger known only as "John" managed to land the plane safely after the pilot became collapsed in his seat after takeoff. John and the pilot were the only people in the plane. John did not have any flying experience, according to news reports, but he landed it safely anyway at Humberside Airport. His friends are calling him a hero. "We had to get him to do two to three circuits. The last one was not very good so we told him to go round again and on the fourth one he managed it. "He did a beautiful landing in my opinion. "He was calm. He was answering the calls I made to him quite professionally. "I would not be frightened to fly with him." Eyewitnesses described seeing sparks as the plane landed. Unbelievable. Sadly, the plane's pilot died that evening of unspecified causes. Still, this could have ended much worse.